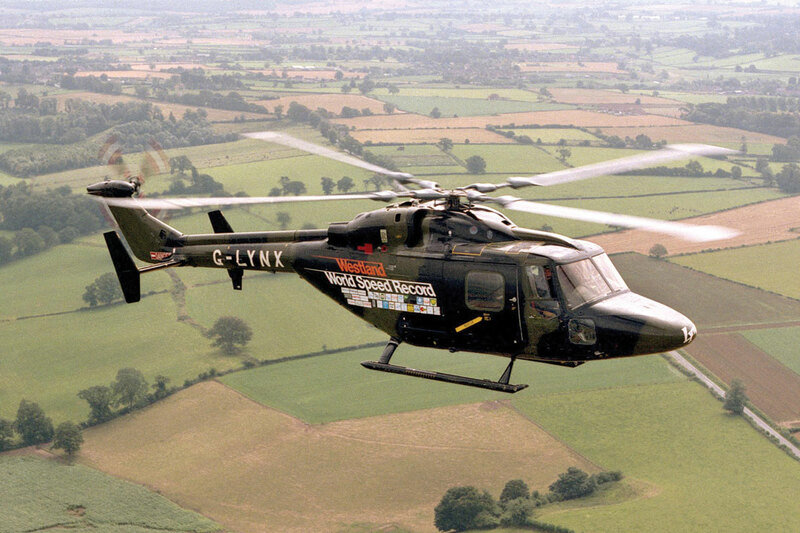 On 11 August 1986, the G-LYNX military helicopter set a speed record for helicopters over a 15 km and 25 km course by reaching 400.87 km per hour (249.09 mph), piloted by Trevor Egginton. G-LYNX is now on permanent display at The Helicopter Museum, Weston-super-Mare. In 1986, the former Westland company demonstrator Lynx, registered G-LYNX, was specially modified with Gem 60 engines and British Experimental Rotor Programme (BERP) blades. On 11 August 1986 the helicopter was piloted by Trevor Egginton when it set an absolute speed record for helicopters over a 15 and 25 km course by reaching 400.87 kilometres per hour (249.09 mph); an official record with the FAI it currently holds. G-LYNX is now on permanent display at The Helicopter Museum, Weston-super-Mare, UK.